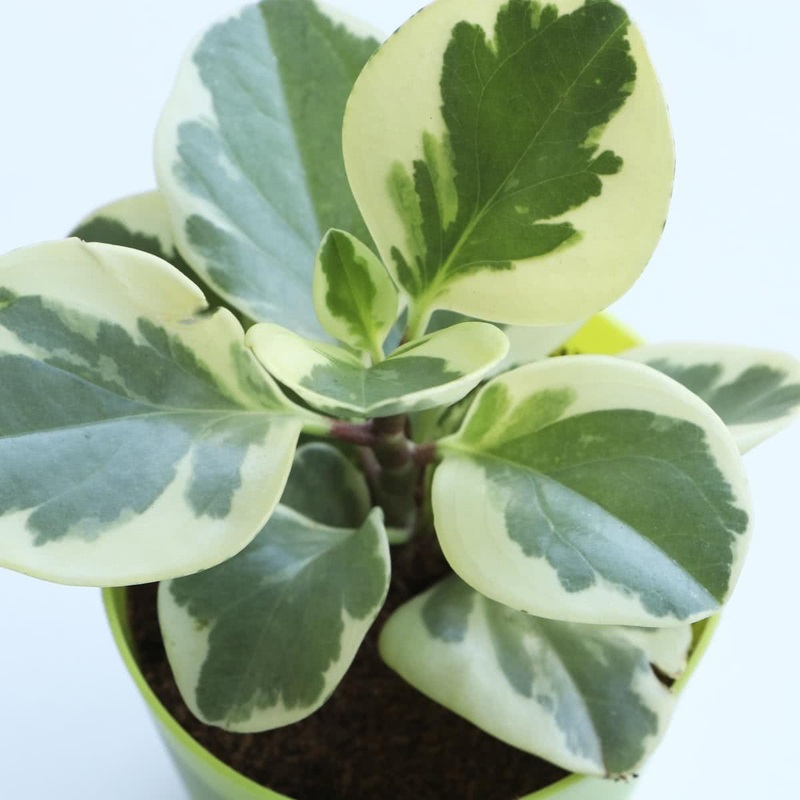 Plant Description: Peperomia Variegated is a very attractive, tender succulent with ornamental, waxy, fleshy, leathery, and creamy white-green variegated leaves. It is potted indoors in decorative, ornamental containers that can be placed in living rooms, bedrooms, study room, and at the office desk. 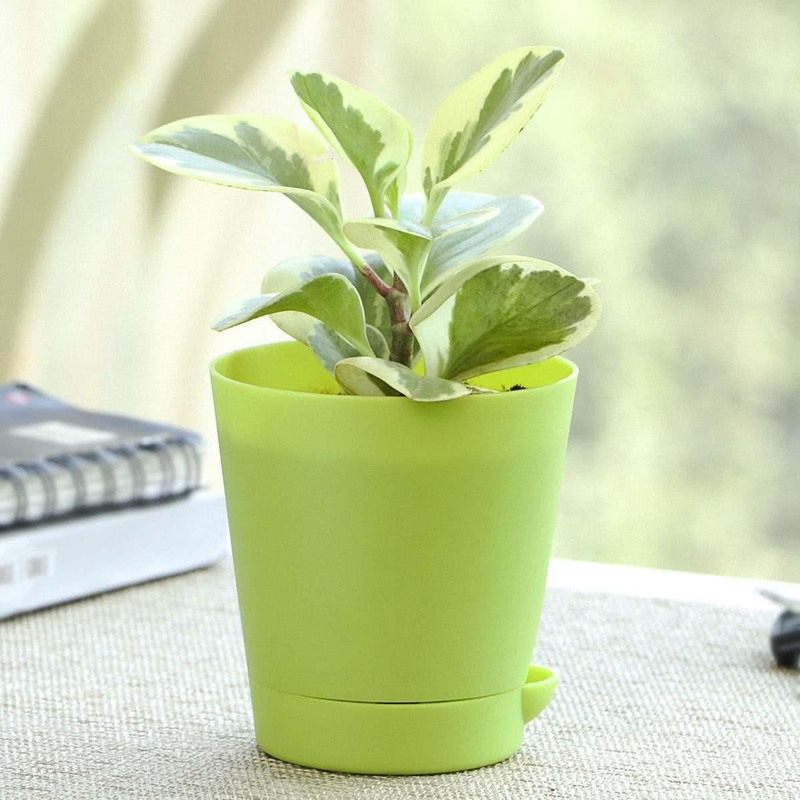 The plant is also suitable for tabletop gardening, dish garden & terrariums. It is also known as Baby Rubber plant. Plant type: Succulent, foliage pattern plant. Growth Habit: Perennial, creeping, herbaceous plant. Soil: A potting mixture consisting of two parts of garden soil, one part of cow-dung manure, one part leaf mould, one part of sand is good for growing Peperomia Variegated. Pot Size: Smaller than 8 inches. Attractive ceramic, plastic or metallic pot should be preferred. Potting/Transplanting: The container selected must have proper drainage holes. To prevent water logging, cover the drainage holes with broken pieces of earthen pots or brick pieces before putting the soil. Transplant the Peperomia sapling in a pot along with root-ball of original soil. Carefully place the plant in the middle of the pot & cover the roots completely with remaining soil. Repotting: Every year change the pot & add fresh new potting mixture. 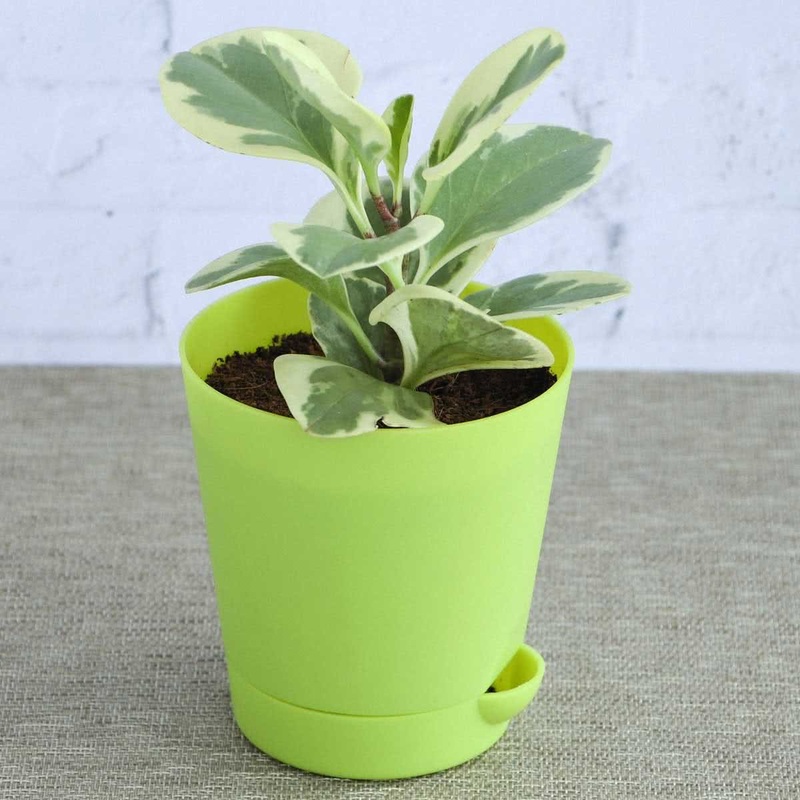 Sunlight: The Peperomia Variegated plants need protection from direct sun. Keep the plant indoor only. Water: Peperomia Variegated needs light watering twice a week. Over Watering will result in root rotting. Fertiliser: Add a handful of vermicompost in the pot every three months. Temperature: Ideal room temperature 20 to 30 degree Celsius. Humidity: Peperomia Variegated need humid atmosphere. Pruning: Topping or pinching of growing point will encourage more foliage. Propagation: Peperomia Variegated can be grown by seeds, short stem cuttings, one node stem cuttings with a leaf attached, and leaf petiole cuttings. Companion Plants: Syngonium, Fern, Haworthia, Jade, Earthstar. The stems are blotched bright red; the rounded or elliptical waxy leaves are variegated with broad areas of creamy white radiating from the edges towards the centre. A very attractive plant.